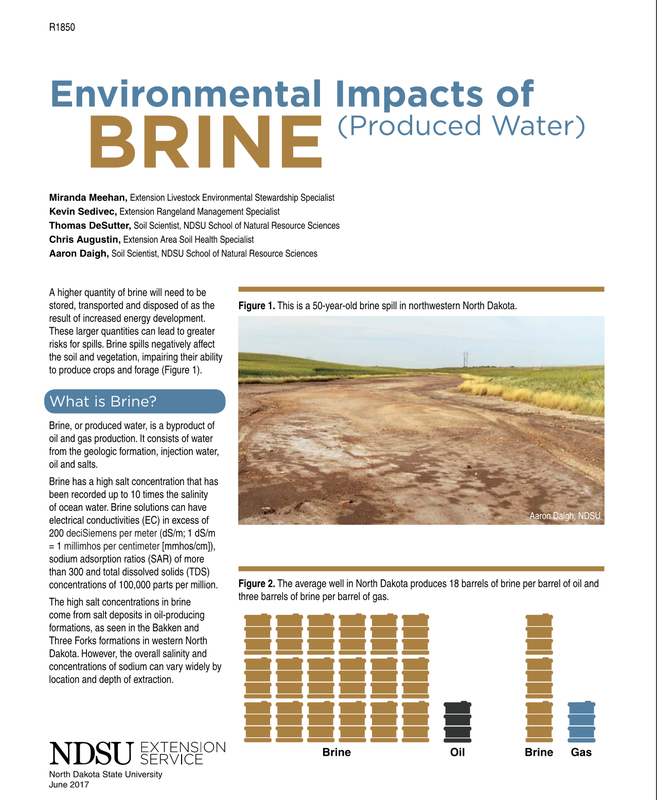 NDSU Extension Service released a new publication this month about the Environmental Impacts of BRINE. Earlier in the Spring NWLA sponsored three café talks put on by the NDSU Extension Service with the intention of learning more about the landowner concerns with brine spills across North Dakota. These café talks were educational for all parties involved, and NWLA finds this most recent publication enlightening. Read the full article here.